Take a plastic spoon – it is warmer and softer than a metal one. It should be narrow and flat to fit snugly into the little mouth. Start the first attempt on a day when your baby is relaxed. Your baby shouldn‘t be too hungry, otherwise he/she may not feel like experimenting. For the first attempt, a finely puréed, mild vegetable pap, e.g. carrot, parsnip or pumpkin, is ideal. Eating from a spoon is something new for your baby and not so simple, which is why you need to be patient in the beginning. 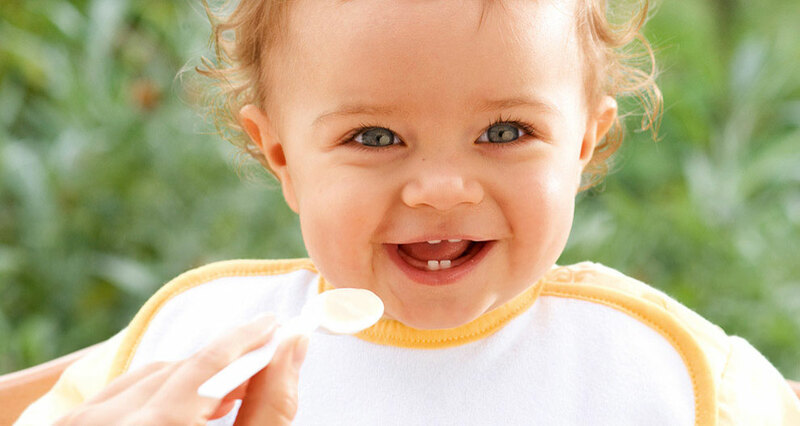 If your baby doesn‘t want to eat from the spoon at all, try again the next day and give your baby a bit more time! If you also want to taste baby’s pap, please use your own spoon. Do not use a metal spoon in the jar, so as not to damage the jar.